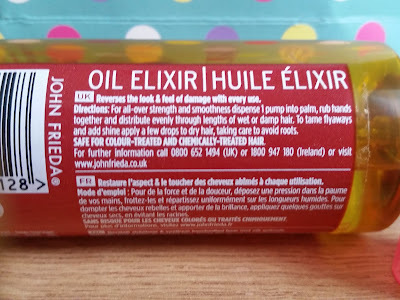 Being a fan of elixir hair oils i'm always keeping an eye out to try new ones i haven't used previously. i was excited to try this one! 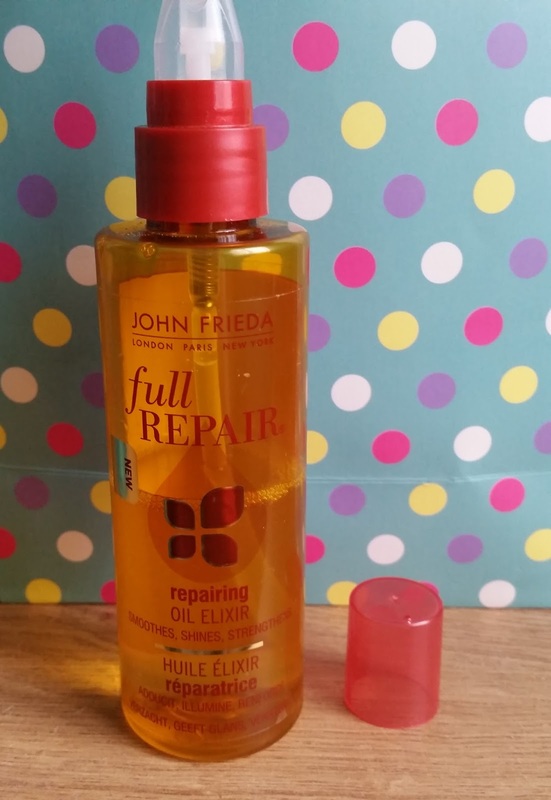 The full repair oil elixir is part of the full repair range which includes the shampoo, conditioner and mask. Plus a heat protectant styling spray. I must say i have used all the products in the range and they are really great to use on dry, unnourished hair craving for some TLC. The oil comes in a yellow bottle but still being able to see just how much product is left which is a good thing, rather than reaching for your favourite hair product to find no product is left. Your then thinking why isn't the packaging clear! Also this bottle has a pump dispense which dispenses just the right amount of product to use. Don't you just love those product bottles that dispense way too much product that then gets wasted and you feel like you have just wasted half your money down the drain. REVERSE THE LOOK AND FEEL OF DAMAGE WITH EVERY USE. 1 pump into palm, rub hands together and distribute evenly through lengths of wet or damp hair. to dry hair, taking care to avoid roots. This 100ml bottle is a great hair saviour especially if you have been over styling or if you have been colouring your hair. This miracle oil does do what it claims it will do. My hair feels immediately smoothed and the shine this gives is excellent, making my hair look like it has been treated to a gloss treatment. Also your hair feels stronger and nourished and your able to run your hands through your hair with ease. 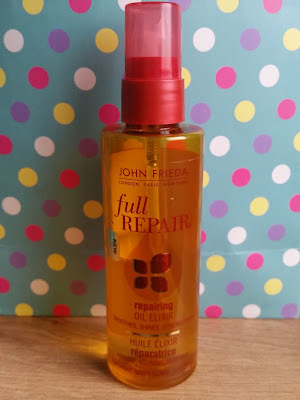 this one does have a runny consistency, which is even better as i find the product doesn't weigh the hair down at all and you will find you wont need to use much product. This isn't heavily scented either, it smells like a clean, fresh light flower. Overall i think this is a great product for any hair addict out there! 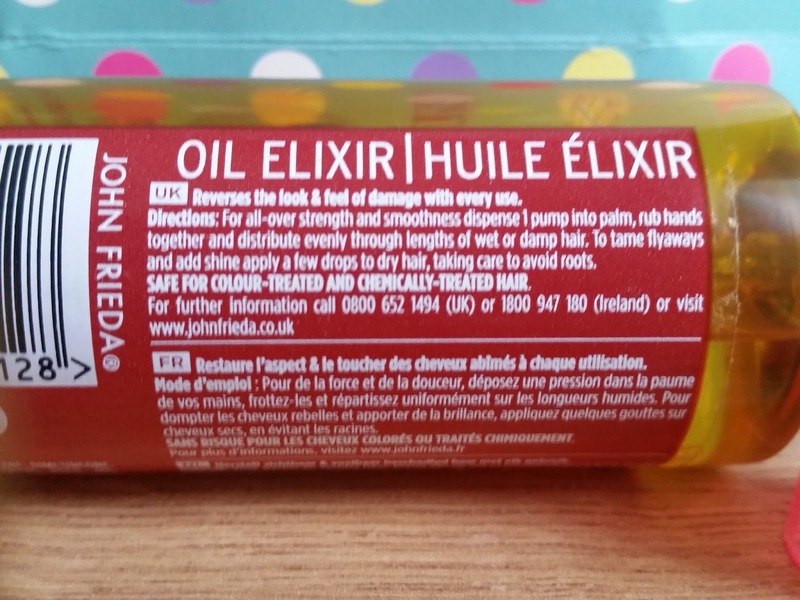 It definitely is a hair saviour!